Sheldon brothers of Regent...hands down. name one that didn't win a state Title? How 'bout just football family? Probably the Kittelsons to go along with them. There were lots of incredibly talented guys (and families) from the old day's who played on less than successful teams. They never got much press, but man some of those cats could play. I believe that Scott didn't win a state title as QB but the blood lines were awesome. I was lucky enough to play against both Jay and Scott. How about the Feeneys from Bismarck? Eichele brothers (Derek, Dalton and Daniel) from St. Mary's the fourth Drew will break the string, he is a lineman. All were/are better than average multisport athletes and for the most part had good success along the way. Bar none, the Sheldon's are the best QB family in N.D. history. Ironically, they all have kids now and only one of them is a boy. Scott didn't win a state championship, but was eyed as a D-I recruit during his junior year before he got hurt. He was the quickest of the three. Todd was the best overall passer. Kind of got thrown under the bus at UMary though. Jay was outstanding and used what he had around him really well. He also was a at the raw end of the old two good QBs at the same time in college. The Wahl's from Jamestown were very good. 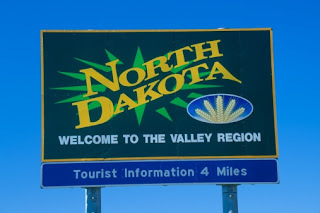 Ted started at South Dakota State for a few years in the 80's, and Korey started and played very well at UND for a year or two in the early 90's. I don't think that is true... but some good ballplayers categorized here. Kittelsons are related to the Michaelson's from Dickinson, Beulah and Williston. Now that's an athletic family. How about the Sandy family, with the two brothers having great coaching careers and Brad Sandy's son being a great QB for 4 years at Harvey. I think Sheldons were also related to the Kost family in Casselton that produced stellar girls bb and vb players a few years back. and turning the tables they also were related to the Jones family of SD that is THE name in SD rodeo. how about the Shumachers from Thompson??? Brian almost won a state title and went on to star at Concordia, winning 2 mvps....while scott played with a less talented class and was, i believe, all state. he too signed at Concordia and will more than likely making some noise for starting next year. The Schatz brothers in NE also had outstanding careers. MHSfan wrote: How about the Sandy family, with the two brothers having great coaching careers and Brad Sandy's son being a great QB for 4 years at Harvey. As long as you're talking about Schatz's and Schumacher's, why not Trinity's Odermann brothers (Jacob and Kyle). Kyle was great back in the day and set many Concordia records. Jacob was Schumacher's backup at Concordia but had a much better high school career as an all-state first team quarterback his senior season when Trinity had Steffes and him in the same backfield and won their second straight state title. Plus, they had John Odermann, Jacob's twin brother, who was a beast lineman. 2 of the 3 quarterbacked teams to the title game. Other one to the Semi's. Joe was '05 Gatorade Player of the Year. Chance and Dylan both starred at F/C and Chance even won conf. player of the year as an OL/DL...very hard to do. Don't know much about these families other than they have been in R/T for as long as i can remember. Last edited by mitchstrand on Sun Apr 22, 2007 12:42 am, edited 1 time in total. Wild Wolves wrote: The Schatz brothers in NE also had outstanding careers. With the Sheldon's it was all Dorthy she has an arm. When jay left for college, she taught the kid in the back yard to toss the ball, now he starts at QB at Minot State. Just to add fuel to the fire for the Mayville hater's that is her home town. The Dorothy Sheldon that old lineman is talking about comes from a family of 6 sisters. The family has branched out and there are great athletes in each family. The oldest sister had a son that played for Concordia in the early nineties and was a defensive end. They have grandsons that are strong footballers. Someone else stated that the Kost girls (from Casselton) are also related and yes, they are cousins. Bethany Kost was a strong VB player for the Squirrels in the early 2000s when Casselton took the state VB title. I have heard that all of them are going to be in the Mandan school system? True?